For more in depth composition analysis, Central Carolina Scale has several types of balances with a moisture analysis feature. Through drying, these devices measure the moisture content of a given sample. We offer Precisa and Ohaus Models. 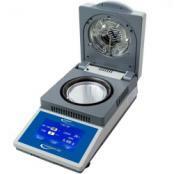 The MB120's Temperature Guide analyzes a sample and determines the optimal drying temperature. Store up to 100 drying methods for easy recall and up to 1000 total results for statistical analysis. The MB90's precisely controlled halogen heating dries samples quickly, and ensures uniform heating to yield fast, precise and repeatable results of 0.01% readability. The MB45 has a dot matrix display that supports quick setup and displays % moisture, % solids, % regain, time, temperature, weight, test ID, drying curve & statistics. The MB35 offers a straightforward one-step testing procedure that produces accurate results rapidly. The compact footprint (17x13x28cm) of the OHAUS MB27 is designed to take up less space. The easy-to-clean heating chamber is ideal for frequent use and inexpensive maintenance. MB23 is very easy-to-clean to ensure the integrity of your samples and its compact design allows it to fit seamlessly into most workspaces. 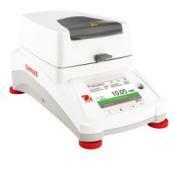 Intelligent IL-50 Touch Screen Moisture AnalyzerMoisture balance with touch screen. Ohaus MB120 Moisture AnalyzerOhaus MB120 Temperature Guide analyzes a sample and determines the optimal drying temperature. 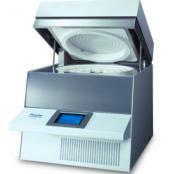 Store up to 100 drying methods for easy recall and up to 1000 total results for statistical analysis. Precisely controlled halogen heating dries samples uniformly, producing repeatable results of 0.01% readability. Four drying profiles & seven shut-off criteria help to perform customized sample tests. Precisa prepASH Series Thermogravimetric AnalyzerFully automatic ashing unit with end-point recognition replaces drying oven, muffle furnace and analytical balance. 3 Models in the prepASH® Series 340 with 12, 19, or 29 samples are the optimum solution for various applications. 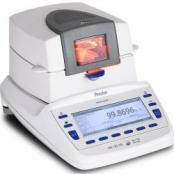 Built-in high performance analytical balance 0.0001g Selectable atmosphere (N2, O2, Air).